These light, yet durable, gloves offer streamlined elegance that’s showring-ready, but they’re so comfortable riders wear them every day to enhance their connection with supple Griptek™ reinforcement exactly where needed for precision rein handling; touch-screen friendly. Used the gloves for the first time along with the first field hunting experience for my usually wonderful warm blood mare and me. Made a massive misjudgment and went with a snaffle bit instead of biting up like everyone told me to (what can I say, I thought my girl was perfect and would be fine on the snagged like she always is). 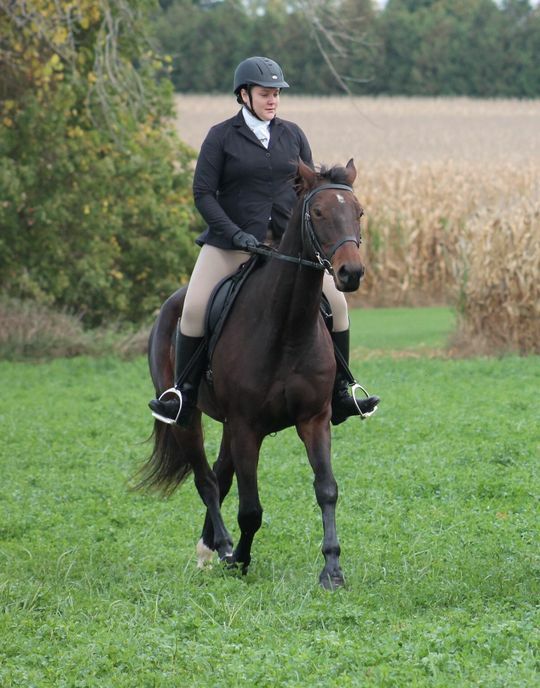 Despite being grossly under bitted for the high energy activity of riding to hounds, and my mare nearly ripping my arms off trying to hold her back (took four days for my shoulders to stop hurting) the reins never once slipped through my fingers with these gloves. Can’t say enough good about them; comfortable, super grippy and easy to clean. I have had these riding gloves for about two years and they work great I haven't gotten any rips and it's great quality!